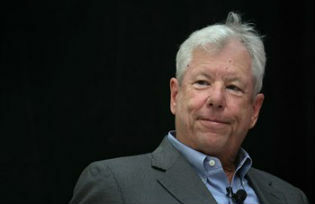 Behavioural economist Richard Thaler is the 2017 recipient of the economics Nobel Prize. Yet despite having been president of the American Economic Association (AEA) in 2016, he is no regular economist. In fact, Stanford economist and past AEA president Robert Hall once characterised Thaler as his “favourite offbeat economist”. Classical Greek philosophers taught that rational human beings choose the best means to achieve their desired ends. The neoclassical approach formalises ‘choosing the best’ as a problem in mathematical optimization. In the neoclassical approach, people are assumed to optimise without effort. If they think that eating more cashews is not optimal, they don’t need somebody else to prevent them from doing so; they can costlessly choose to do something other than eat more cashews. • The first way is using willpower. Of course, if willpower were easy to exert, then there would be no need for Christmas Clubs or tax over-withholding. • The second way is through external enforcement: no credit cards at all, which raises all kinds of issues, not the least being the consequences of not having a credit history. • The third way is through internal enforcement, using habits. In the late summer of 2017, a series of hurricanes struck the Caribbean, the Gulf of Mexico, Houston and Florida. After Hurricane Irma, which struck Florida, local residents registered over 8,000 complaints of price gouging with the state Attorney General’s office.2 These complaints mostly related to excessive prices being asked for water, ice, food, and fuel. Shefrin, H M and R H Thaler (1988), “The Behavioral Life-Cycle Hypothesis”, Economic Inquiry 26(4): 609-43.